Olympics qualifiers are restricted to under-23 footballers with three over-age 'wildcards' permitted at the finals. "I would have loved more time to prepare because I share with all other Olympic football coaches in Africa the challenge of building a team from scratch. "The harsh reality is that we have very limited time to work on the training field so it is essential to hit the ground running," he told reporters. "He is a left-footed centre-back, a rarity in our country at the moment, but his South African passport is out of date so I had to omit him from the squad." 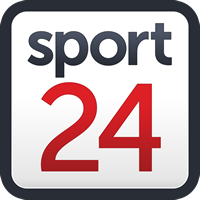 South Africa face a tricky start away to Angola in Luanda on Friday with the return match set for Johannesburg four days later. Cameroon are the other African country who have been Olympic champions, edging Spain on penalties with the help of Samuel Eto'o in the 2000 Sydney Games title decider.